Here’s your dream chance to meet the Master Blaster Sachin Tendulkar himself. P.S: Inviting Friends to our forum & multiple entries will earn you extra brownie points and increase your winning chances. Last date: 24th April, 2017, 11:50 PM. *Important Note: If the contest does not gather in the required number of active participants, Smartron shall withdraw the contest from forum. He made enemies unite, made fathers and sons bond, had us do totkas, miss tuition classes, gave Indians abroad that 'Indian' feeling, basically he took over our lives and our worries. And of course, who can forget that wonderful chant he made a billion people shout in unison - "Sachiiiiiiin! Sachiiiiiiin!" 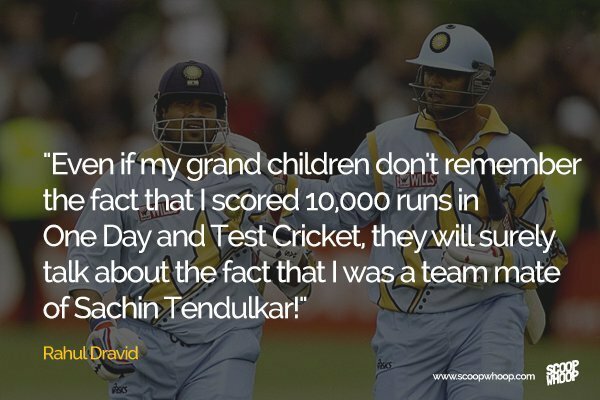 Cricket will always be a religion here and Sachin Ramesh Tendulkar will always be its god. Hi, Let the amazing entries come in, Tag your friends and share the post for extra points and thus win big. There are two kinds of batsmen in the world. 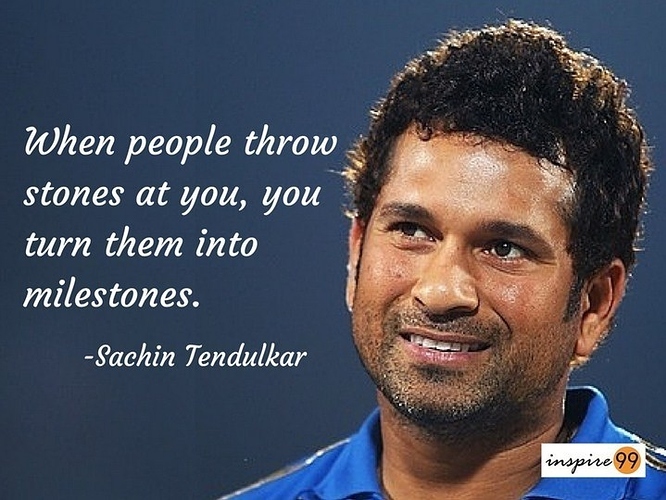 One, Sachin Tendulkar. Two, all the others. 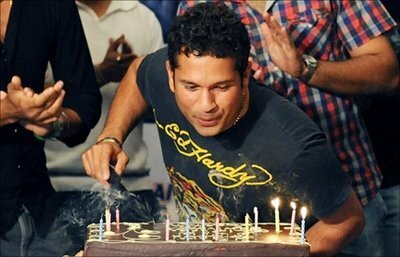 Wish you a very happy birthday Sachin - the God of Cricket. A man who united billion people and made cricket a religion for them. A man who made India proud all around the world. Wishing the god of cricket a very happy birthday. Many Many More Happy Returns of the Day GOD!!! Ve chalne lage apni takdeer banane"
As you age, you do not become old. You mature. Happy Birthday.